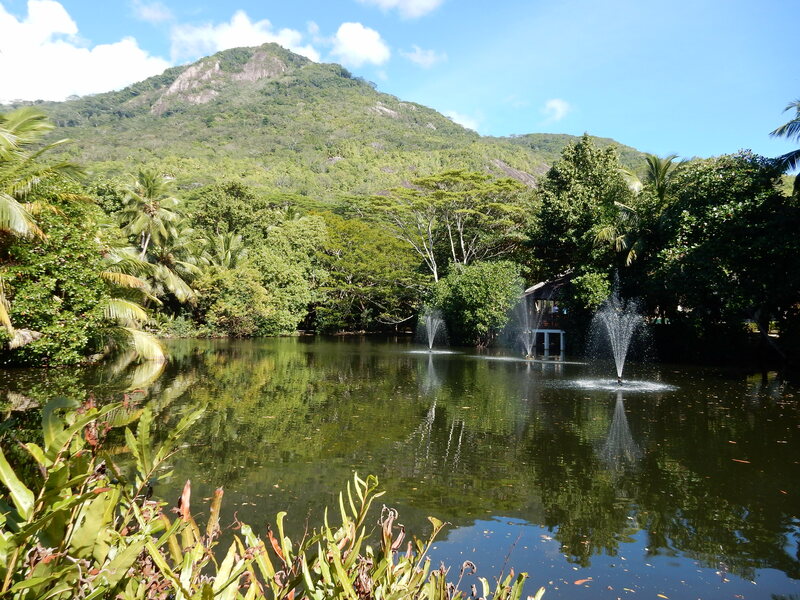 With an area of just under 20 km2, Silhouette is the third largest of Seychelles’ granitic islands. In terms of biodiversity it is one of the least disturbed islands in the archipelago, its rugged and heavily forested mountains having spared it from significant human occupation. Its fauna and flora encompass a high degree of endemism and the endemic insectivorous Sheath-tailed Bat is the rarest species of bat in the world, with a world population of less than 100 individuals, about a quarter of them on Silhouette. However, Silhouette has not been spared from invasive species unwittingly or deliberately imported by people. At unknown times in the past, but during its agricultural period, Black Rats, Cats, Common Mynas and Barn Owls gained a foothold and established populations that have doubtless impacted indigenous animals and plants, but little detail is known of this in relation to Silhouette. Elsewhere, however, there is good evidence that Black Rats, Cats and Common Mynas can have devastating effects on native fauna. The advent of tourism and the construction and running of the high-end Hilton Labriz Resort and Spa provided further opportunities for some of these invasive animals. Common Mynas, in particular, capitalise on the foods available in the restaurants. On Silhouette these birds are remarkably confiding in people (much more so than we have seen elsewhere) and regard food handling areas, and even dining tables occupied by often startled tourists, as targets for stealing pieces of croissant to omelette, papaya to banana, chicken to fish, pasta to pizza, all prepared to the highest standards by the hotel’s excellent chefs. This problem is not unique to Silhouette. It is common to restaurants with outdoor dining facilities or open to ingress by birds at tourist resorts in Seychelles and elsewhere. 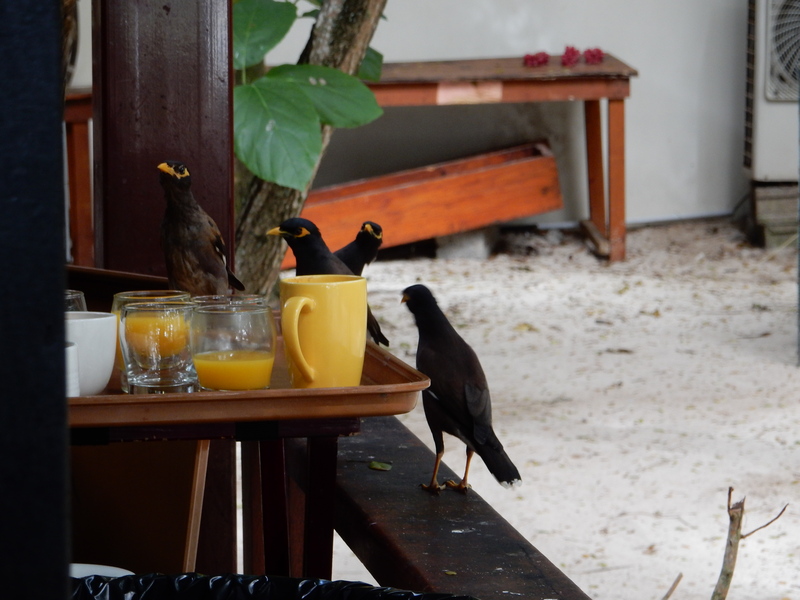 Frequently, restaurant managers have sought a solution to these food thefts by mynas and other birds by providing bread and other foods for the birds prior to the breakfast or lunch times. This is based on the assumption that by meal times the birds will be satiated and will not be searching for more food. But this is simply not true. Bird feeding has rarely prevented the ingress of birds into the restaurants; in fact, it attracts birds to the restaurant areas so the birds are on hand to capitalise on the greater variety of foods available when tourists arrive for their meals. Additionally, bird feeding has certainly provided the birds with additional food supplies, leading to larger populations! practices, requests for guests not to feed birds at the restaurants or at their villas, and the initiation of a trapping programme to reduce the number of mynas in the hotel’s vicinity. In addition to benefiting the hotel’s guests and staff, we hope that the project will in the longer term benefit the island’s wider environment by paving the way for the complete eradication of mynas from the island. 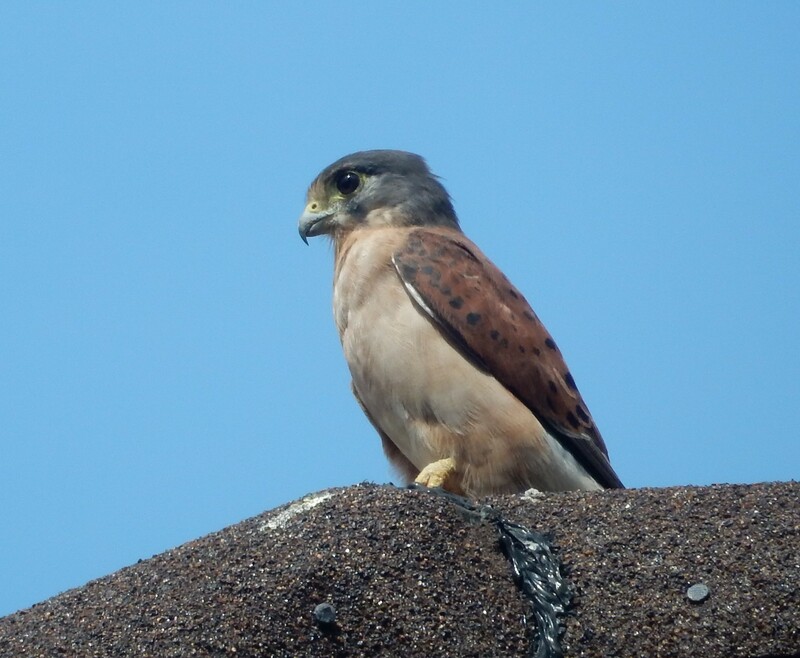 This would help to protect the endemic birds already inhabiting the island, especially the diminutive Seychelles Kestrel. It would also pave the way for the introduction of some of Seychelles’ other endemic birds that are under threat on the islands where they survive, such as the Seychelles Black Parrot, whose only home at present is on Praslin, and the Seychelles Paradise Flycatcher, found on La Digue but also recently introduced to Denis Island, where it is thriving following the eradication of mynas from that island. What I find bothering is that it seems from this article that the sole reason to eliminate them is that they bother someone that they gather at breakfast at the Hilton. I didn’t see any evidence in this article that they are a danger to any species currently on the island. Therefore, I find it very wrong to kill them. It bothered me greatly to see them locked in the cages on the grounds of the hotel attracting other Mynas to come to rescue them. I entirely sympathise with your views. 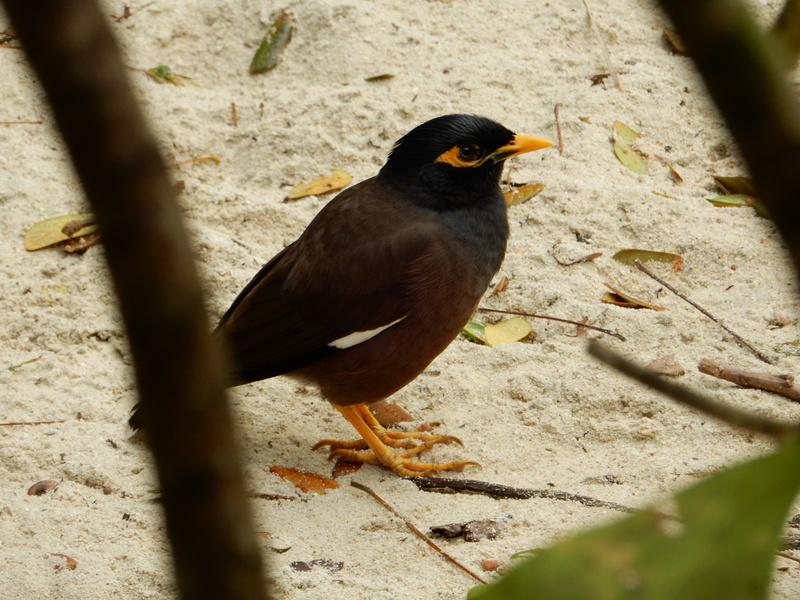 We have explored myna eradication methodology and been successful on Denis Island, where the numbers of four species of endemic birds have blossomed in the absence of myans. We have another eradication almost complete on North Island, designed to allow its Seychelles White-eye population to increase, and possibly to permit the introduction of Seychelles Magpie Robins and possibly other endemics. we took on the challenge of Silhouette because the hotel was prepared to pay for a major reduction in numbers. My hope is that this will help Island Conservation Society, responsible for conservation on the island, to undertake an eradication of mynas over the remainder of the island (they already have a proposal to take this on but do not yet have funding). 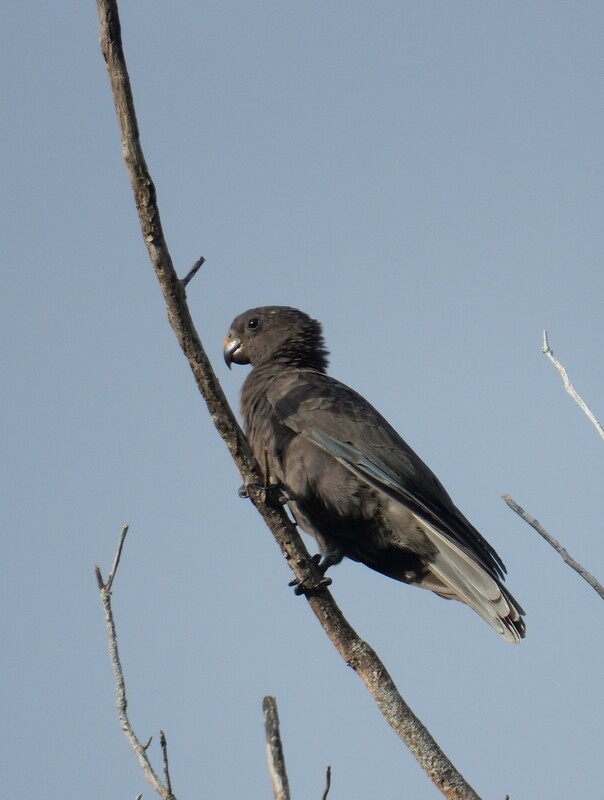 One of the proposals by Seychelles Island Foundation, managers of Vallee de Mai on Praslin, is to establish a second population of Black Parrots on Silhouette, subject to survey of potential availability of nest sites. So the long term goal is to eradicate mynas to improve the conservation status of Silhouette. In a book I published last year I went further, suggesting that cats and rats should also be eradicated from Silhouette (very expensive I know), with a view to allowing other endemics to thrive, especially the Sheath-tailed Bat (rarest bat in the world) and in the longer term to allow recolonisation by seabirds. Personally, I do not like killing birds, but seeing the damage that mynas can inflict I am prepared to help to undo problems that man has caused, often unwittingly but often also stupidly, in the past that endager wildlife on Seychelles Islands and elsewhere.